Measure a length of stripping to fit around the head. Staple together. Cut two pieces of stripping to fit across the top of the hat. 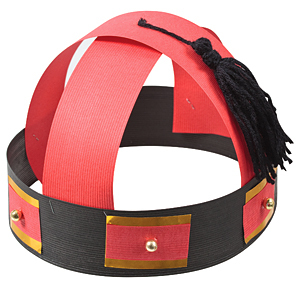 Decorate the hat with Adhesive Squares, Paper Stripping and Pearl Beads. 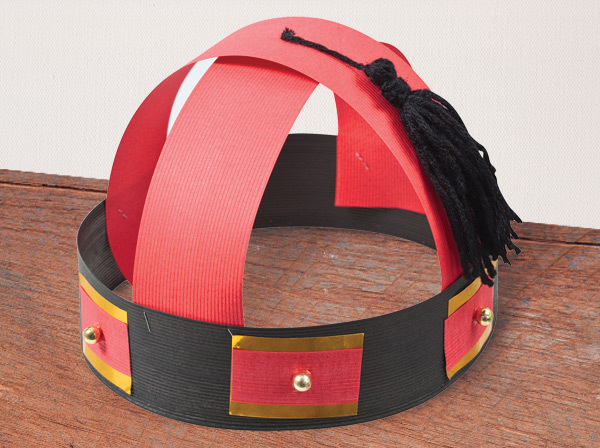 Create a tassel from the Acrylic Wool and glue to the hat.